Intre = Coconut in self-service mode with fickle just under the tree. 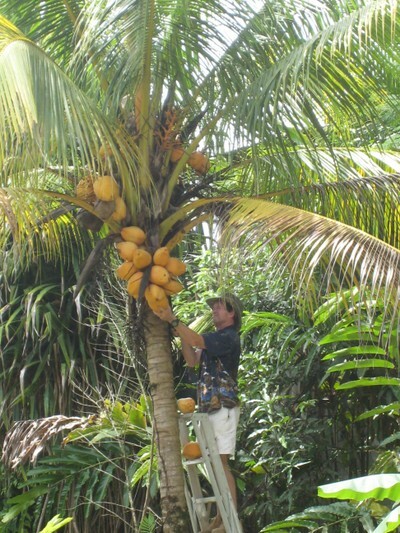 Pick up the right coconut, open up without hurting yourself and drink up! How different is it really? Forget the end (upside / downside limits in intre), the means are just the same in Intrapreneurial activities and entrepreneurship. Intrapreneurship is entrepreneurship with lowered risk – don’t the VCs have lower risk propensity than the angels? Don’t PEs have lower risk propensity than VCs – does it mean VCs and PEs don’t take risk or don’t need entrepreneurial spirit? Guess u got where I am getting to. What links all of them together are three things: thrill in identifying or generating opportunities, managing risk and creating value. Conscious of making full use of the breather between the two terms, even if it was just 1.5 days, I slept through most of the weekend, took my son for a horse-cart ride around the vastrapur lake. Bought some DVDs hoping to watch with wify and to write some movie reviews in the blog; instead watched India loose to the windies. Suffering from ‘can’t stay away from mails for half a day’ syndrome, opened my mailbox on Saturday to find an invite for a weekend party with the EIRs. I decided to check out; Partly since, I found quite a few of the Re-search EIRs interesting and was confident about the same kind of caliber with iAccelerator EIRs. And also bcoz, I wanted to attend a party! Well, it turned out to be quite interesting. I am only sad that I did not carry my camera. Otherwise, I intended to have one photo per blog entry. I didn’t expect the non-photo blog to appear this soon. Hmm… let’s not worry about frills alright! Freeman Murray, Founder of Upstart.in, a consultancy that assists technology start-ups. Freeman is a co-investor and is part of the Management Team of iAccelerator. Ram, one of the EIRs and founder of Hashcube, an iaccelarator startup; HashCube has become one of the most successful companies to launch games for the recently opened up social networks of MySpace, Orkut and Friendster. Vishal and Arpan; EIRs and founders of meraevent.com; Arpan and Vishal complement each other. Arpan is a complete techno-geek and a graphics designer. Vishal is the management guru. Selvan and Sankar; EIRs working on an idea to build a statistical analysis tool for stock trading; Selvan says that he got fed up when his mutual fund firm kept loosing much more than what he did and that was the inciting incident for his discovery process. Since then he has worked on the algorithm and CIIE has put him in touch with Mr. Subinder Khurana, an IIMA alumni and CEO of MarketRx, a business analytics major now acquired by Cognizant technology solutions. He hopes to launch “bitstat” successfully by August 2009. Apparently, bitstat does a bit more than what transpired in our talk that night – check out http://www.bitstat.com/.